Approximately 2000 years ago, the land that the school now occupies welcomed its first settlers. It is fairly certain that those settlers were from a Celtic tribe because of the name given to this location – “Cole”. The Celts’ word for a hazelwood tree is a ‘cole’ and it would seem that this word became used to describe that section of the River Rea and its adjacent hills. The Celts often used names that would help locate tribes and often referred to trees since many tribes believed they possessed supernatural qualities. Hundreds of years later, the Anglo Saxons kept the local name of this spot and added ‘mor’ or ‘mer’, meaning ‘marsh’. And so, literally translated, Colmer[s] means ‘the marshland next to a river lined with hazelwood trees’. Between the Norman invasion (1066) and the seventeenth or eighteenth centuries, a manor-house and moat stood somewhere in the triangle within Bristol Road South, Kendal Rise and Ashill Road. It was probably made of wood with a flattened earth floor. 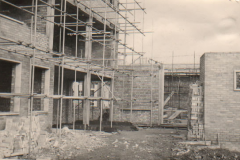 This may explain why there is no trace of an historic building anymore and where Ashill Road got its name. 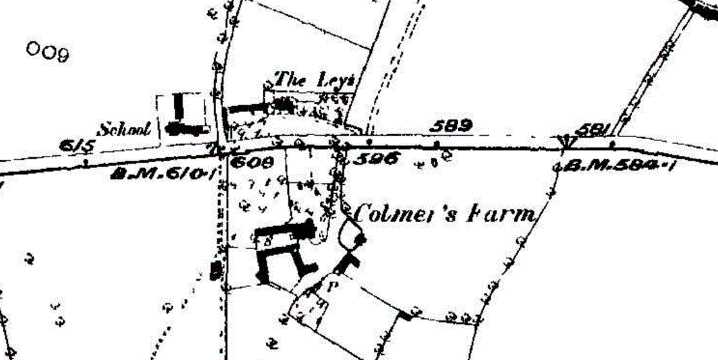 The first known record of a place called ‘Colmer’ dates from 1280 when the land was owned by a Walter de Colmer. Walter did not give his name to this part of the world; it was this part of the world that gave his name to Walter and then his son, John. The fact that their surname derived from their homestead suggests they were not ‘high-born’ or knights and were instead villeins (wealthier peasants) as opposed to a serf (powerless labourers). If we were able to walk along what is now the A38, passing the school to your left, in the mid-fourteenth century, we would probably be treading along a muddy but established path between Bromsgrove and Kings Norton. We might see a range of fruit trees, crops, sheep and cattle. It would have been a quiet sort of place, far from the bustle of medieval life and politics. Before the Black Death, the local population (i.e. 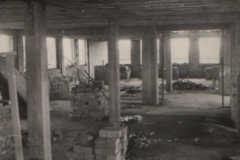 within a one-mile radius of the school) would have been no more than a few dozen. After the Black Death, the local population may have disappeared completely and, for a generation at least, all the land may have fallen back into woodland, meadow or grazing pastures. As England recovered from the Black Death and then during the industrial revolution (1750-1900), the local population would have grown significantly but ‘Colmer’ never became a local market or trading hub; this was because Kings Norton, Bournville, Bromsgrove and Birmingham were to dominate and rapidly expand. 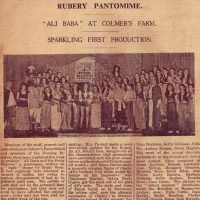 The several acres of land on which the school stands, for whatever reason, remained known as the farmland that used to belong to the Colmer family – thus ‘Colmer’s Farm’. The families that owned ‘Colmer’s Farm’ over the years did not lend their name to that farmhouse or farmland – we need to go back to Walter and John for that honour. Technically, we might consider renaming our school as Colmer’s or Colmers’ School & Sixth Form College depending on whether we would wish to immortalise John as well as Walter! 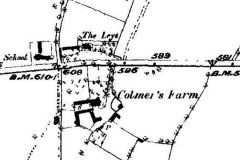 The fact is that the land on which the school is built was part of a nineteenth century ‘Colmer’s Farm’. Occupation or ownership of the manor-house and the surrounding farmland (first mentioned in 1280) changed hands many times over the past 950 years before coming into the ownership of Colmers’ Governing Body in the mid-1990s; when the school became Grant Maintained (GM) and, later, a Foundation School (2006). In 1870, an Act of Parliament, popularly known as The Forster’s Act, introduced primary age education for all children in all areas that did not have schools. 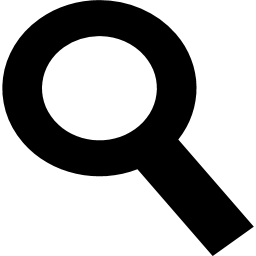 Local councils were required to set up local education boards and then establish brand-new institutions and raise local taxes to pay for both buildings and staff. All families were expected to pay relatively small sums of money in fees. 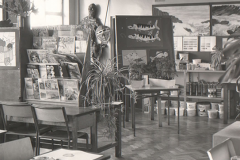 Although Local Education Authorities (LEAs) were still over thirty years away, the concept of locally organised and largely subsidised education provision was established. 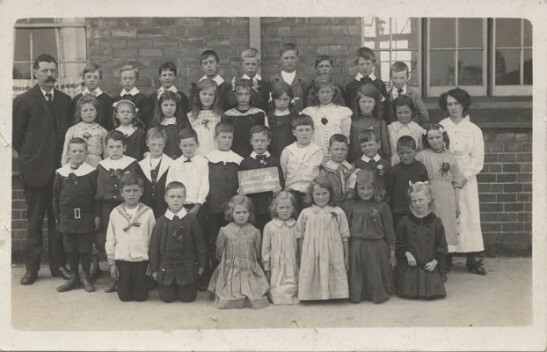 Another Education Act, in 1880, made attendance at school compulsory for all children between the ages of 5 and 10. At that time average attendance was just 82% and was in part the result of those small fees being unaffordable for many local families – or indeed a simple rejection of the idea of comprehensive education. 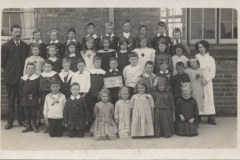 Blind and deaf children were first compelled to attend school under the Elementary Education (Blind and Deaf Children) Act of 1893, which also established special schools. This was extended to physically-impaired children in the Elementary Education (Defective and Epileptic Children) Act of 1899.  All the schools created by those Education Acts of 1870, 1880, 1893 and 1899 were non-denominational – Parliament was not prepared to support or fund the creation of faith schools. A map of 1883 shows that a school already existing on this site, known as The Rubery Board School. 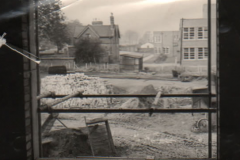 It is highly unlikely that the school coincidentally appeared in the year that the map was drawn and it is therefore much more sensible to conclude that there had been education provision on our site since the Education Act of 1870. This makes Colmers School & Sixth Form College, and the schools on this campus, somewhere between 137 and 150 years old in 2020. When the Education Act of 1902 encouraged the newly formed LEAs to provide education for children between the ages of 10 and 15, the reality was that this was to benefit middle-class families and that poorer or working class communities’ access to secondary education was patchy at best. 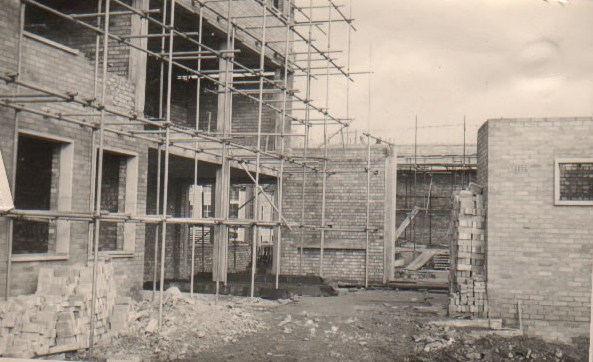 There is scant evidence to conclude one way or another, but it is likely that secondary education provision until the 1930s would have been ad hoc and ebbed and flowed according to local demographics, individual family aspirations and annual demand. 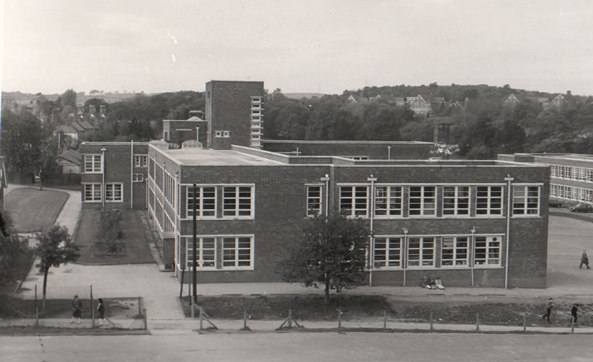 Herbert Austin’s car plant (established in 1894) undoubtedly challenged the local mind-sets and career ambitions of local children and families who, hitherto, had few local opportunities to enter into modern industries and professions. 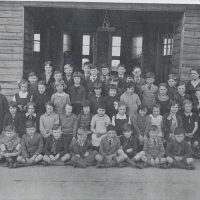 School children and teachers can be seen in this photograph taken in 1914 (copyright unknown / taken from the Lickey Hills Local History website). 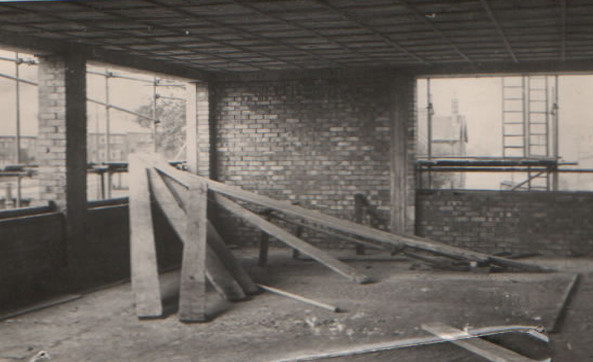 It represents our oldest known forebears in what was then known as The Rubery Board School. 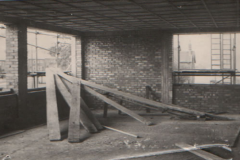 We know that, in the years after the First World War, the site on which the school stands underwent significant building programmes that established separate infant, junior and secondary schools. 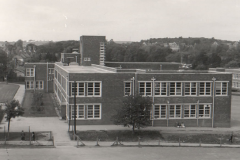 By the 1930s, West Building was in operation and providing exclusively secondary-school education. 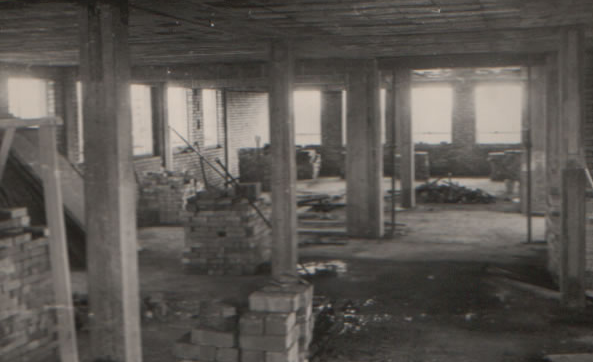 In the 1940s, following the 1944 Education Act, East Building, and later North Building, were constructed to accommodate the rising population and socio-economic need for better-educated young people. In 1949, after a period of 66 years, the schools were renamed and were henceforth known as Colmers Farm (infant, juniors and secondary). 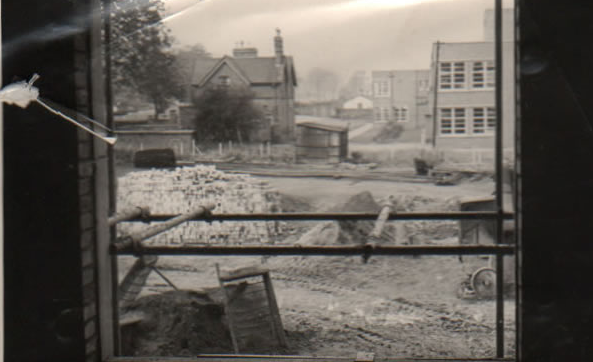 In 1996, when this school became Grant Maintained, the ‘Farm’ was dropped from the name of the school. 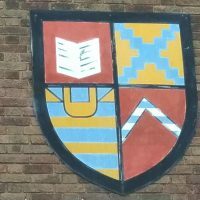 In 2013, a sixth form was added to this site and further extended the age-range of young people being schooled on the campus from the age of two (in the nursery) to the nineteen year olds we have here in Colmers Sixth Form today. 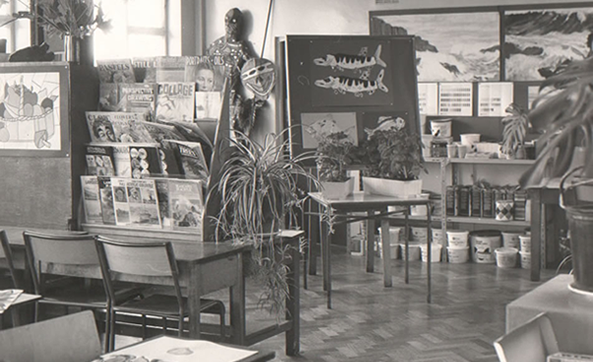 In 2016, the infant and junior schools were amalgamated and are now known as Colmers Farm Primary School.